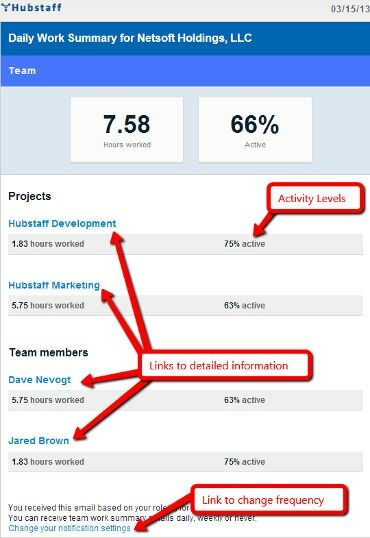 Organization Owners and Managers: You will receive a breakdown of the work done for your organization by project, and team member. You can choose to receive this daily, weekly or never. Users: You will receive a breakdown of your own work by project. You can choose to receive this daily, weekly or never. Get regular product updates on our blog.